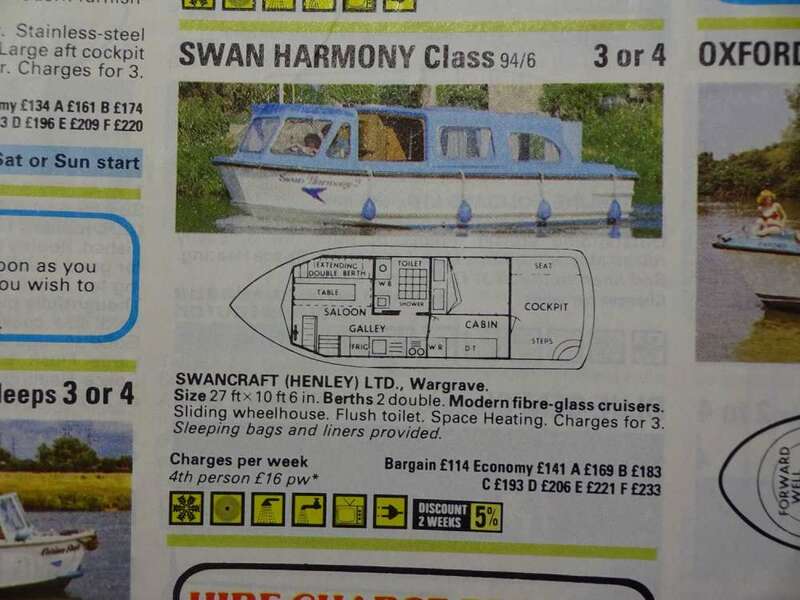 would you mind having a look in the London section and see if there are any swan harmony adverts pls? I don't have the 1983 brochure any longer but I did years ago and that pdf picture takes back. 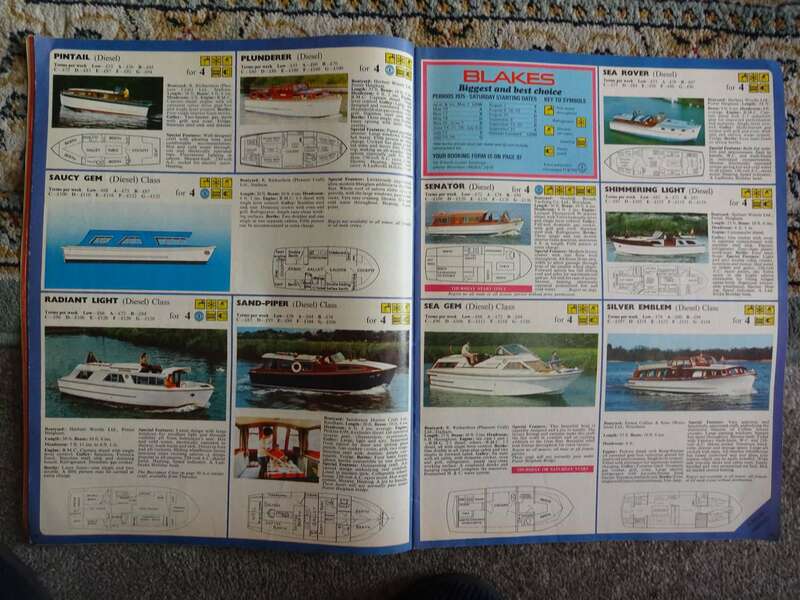 Pre-internet as a child then brochures were my link to Broads boating in the 51 weeks a year I wasn't in Norfolk. In 1983 I went with my parents for the second time on Aston Goblin from Loddon. 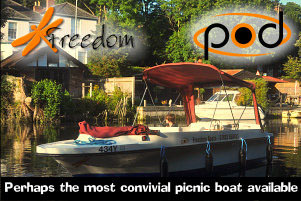 It was a boat blighted by mechanical issues but I still enjoyed myself as much as on our first trip 2 years previously. I have a Hoseasons (and a Blakes) from 1975 if you want me to look anything up? did you want to sell it? As luck would have it. I do have two copies of the 1982 brochure. Anyway, I will p.m. you about it. 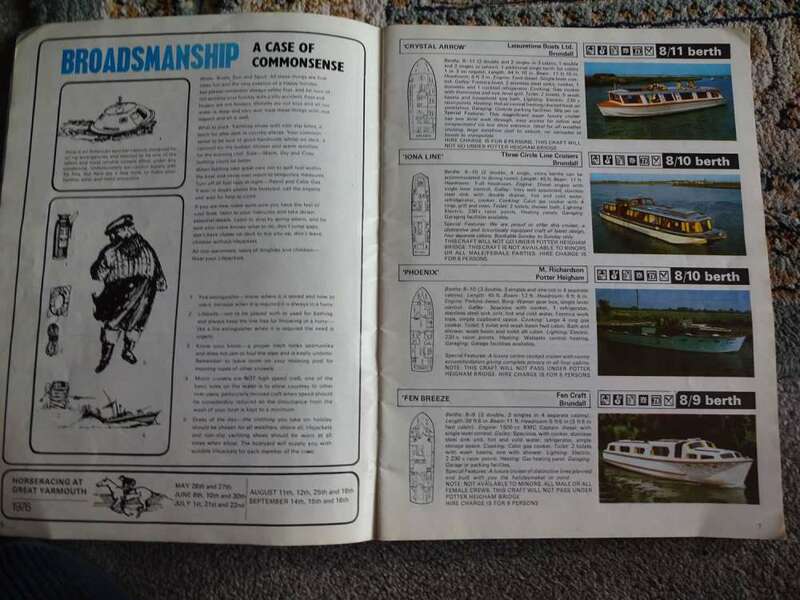 Images of the 1982 brochure in question. Smitch - if you just want images of the page I am happy to do this for you without charge. 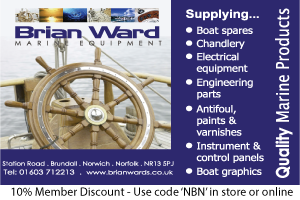 If I remember the boat we hired was named Capri, think it was a blue steel hull.We picked it up from Loddon or Chedgrave. Not sure the name of the yard.Any info would be great. 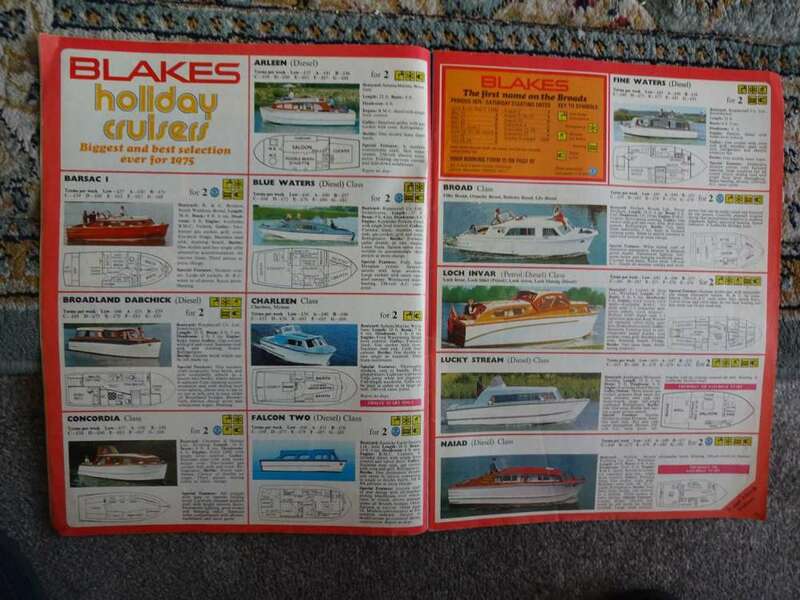 I have looked at both Hoseasons and Blakes for 1975 but no boat called Capri. Next I looked for a blue hulled boat starting from Loddon but apart from the Aston Boats which were fibreglass, there were none. 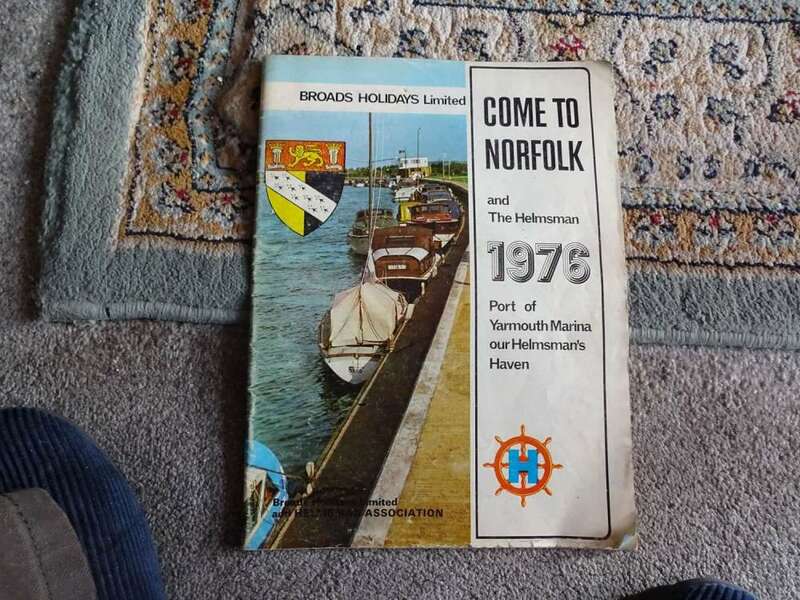 I have a copy of the 1976 Broads Holidays brochure and looked through that but no Capri. The only one I can find starting from Loddon with a blue hull (cannot tell if wood/steel/fibreglass) is the one shown below. 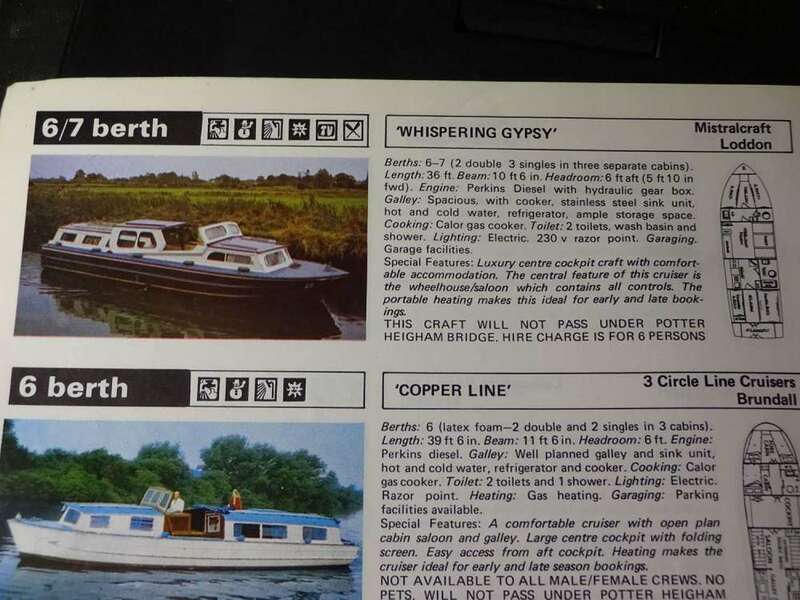 Many thanks,may have been the boat at the top.I know it was that part of the broads.Whats funny.We since owning boats have moored at Brundall or Chedgrave. Indeed before owning most of the time hiring from Alpha or Silver line.Now Graham looks after our boat.I surpose it's meant to be .Also one of our favourite pubs is the Whitehorse at Chedgrave . David, that front cover will be forever etched in my memory, even though I haven't seen it in real life for well over 30 years. I have a strong memory of my mother first showing me that cover on the evening of 5th November 1981. 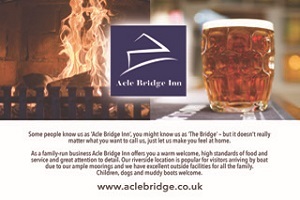 I remember the date because we were just about to attend a bonfire party and yet even though I loved bonfire night as a child seeing that brochure for the first time is what sticks in my memory. 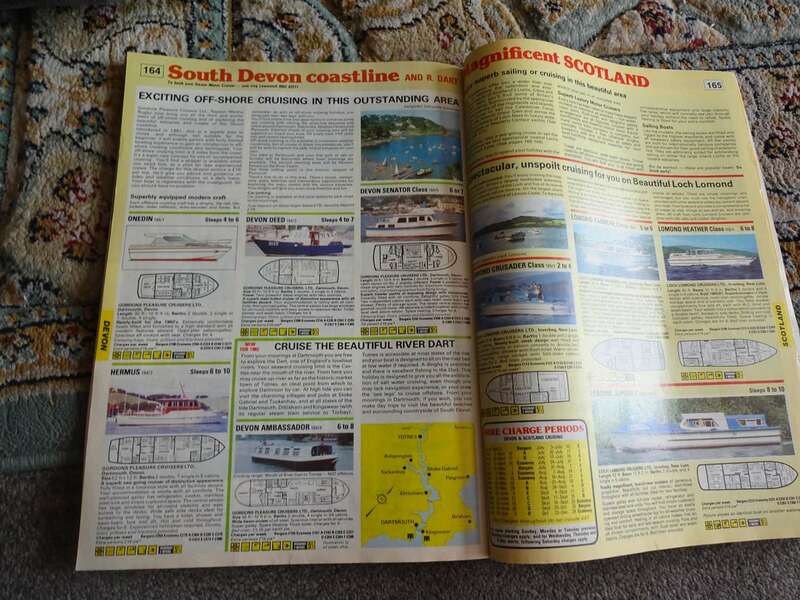 In 1982 we did indeed book through Hoseasons in the days when you could have a wide beam cruiser on the Severn and Avon. Yes and a totally different set up now from when Jimmy Hoseason ran it. 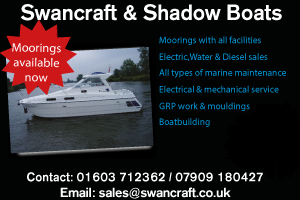 In 1982 we did indeed book through Hoseasons in the days when you could have a wide beam cruiser on the Severn and Avon. 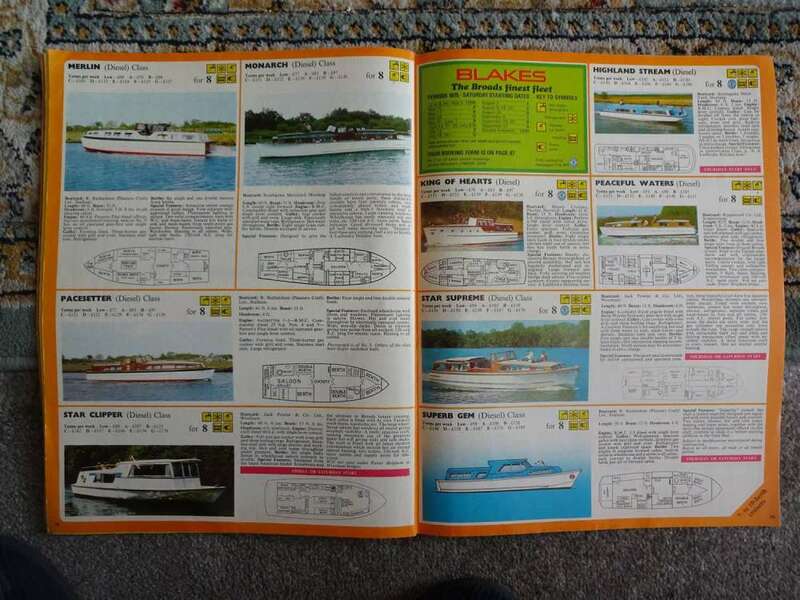 For those who enjoy looking at the older brochures, here are a few pages from the 1976 Broads Holiday brochure. I remember there were quite a few "odd looking" boats around at that time. Two here I think are a little "ungainly" are Cygnet, a 2 berth cruiser and Crystal Arrow (or Iona Line). Compare them to the super modern looking Fen Breeze. In the 1976 Hoseasons brochure, "Fen Breeze" could give a clue where Aquafibre got their ideas for the "Diamonds" from!! many thanks for posting those, they really do bring back memories. 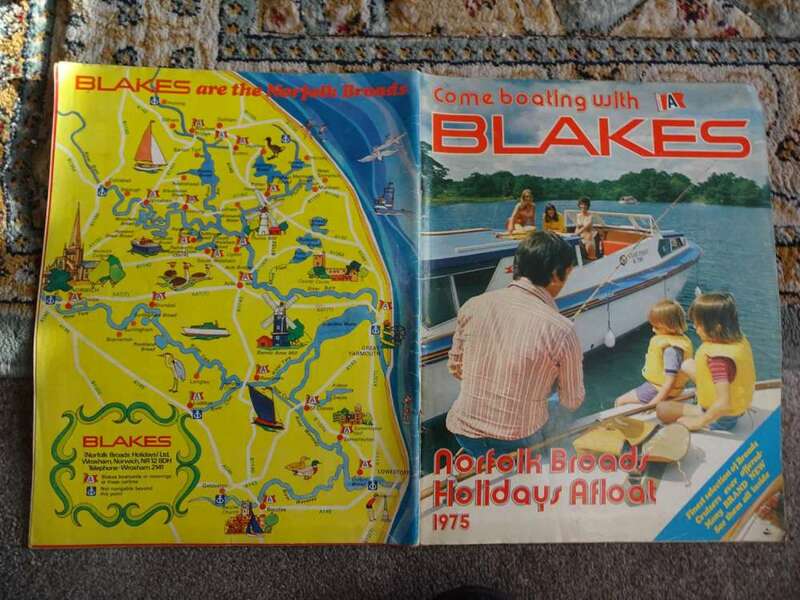 The shameful thing is, i had loads of Blakes and Hoseasons brochures, but when i moved from my flat in to our bungalow when Karen and i got together, i threw them all out. Little did i know people would have so much interest in them. I doubt i would have sold them, but it`s nice to know they`re worth something to somebody, allbeit after i`ve thrown them out. Thanks for posting the photos David. 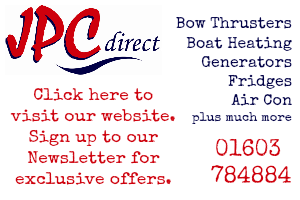 The boat we hired on the Severn and Avon was the Astral class, a 30 foot by 10 foot 6 centre cockpit from Evesham Marina. I still have the brochure picture in my head. 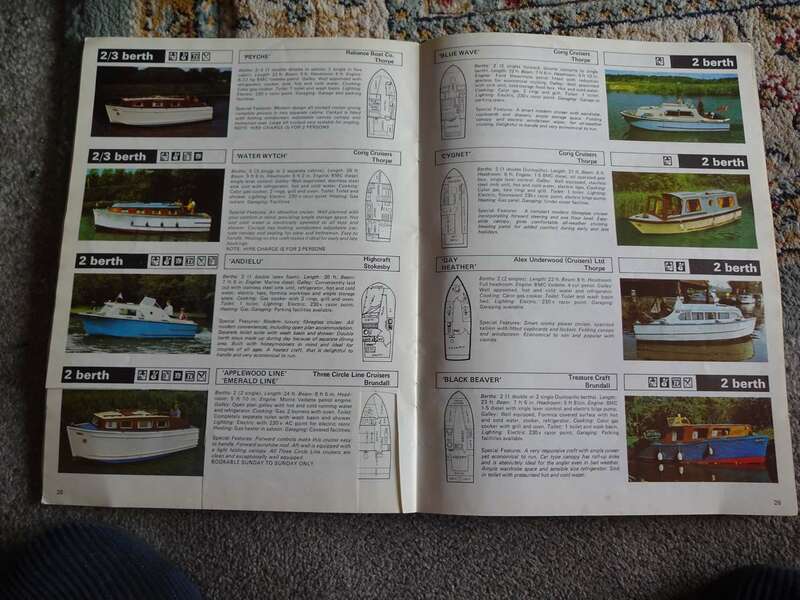 Your 1976 Hoseasons brochure, apart from showing just how tiny that 2 berth boats were then, has a boatyard location I didn't know ever existed - Highcraft at Stokesby. Where was that situated exactly? 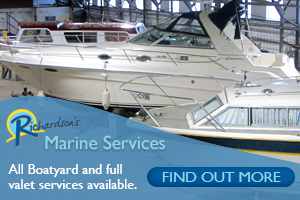 I can remember a boatyard at Stokesby in the 80s, it was from where the boatshed is now. Although now there`s precious little left of it now. 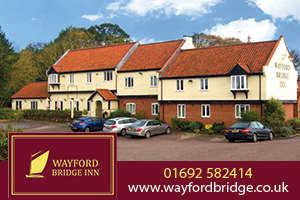 In fact, when my brother and his wife and co hired a boat in 82, they had a pumpout at the yard in Stokesby. I also remember Highcraft of the 80s and possibly 90s at Thorpe. 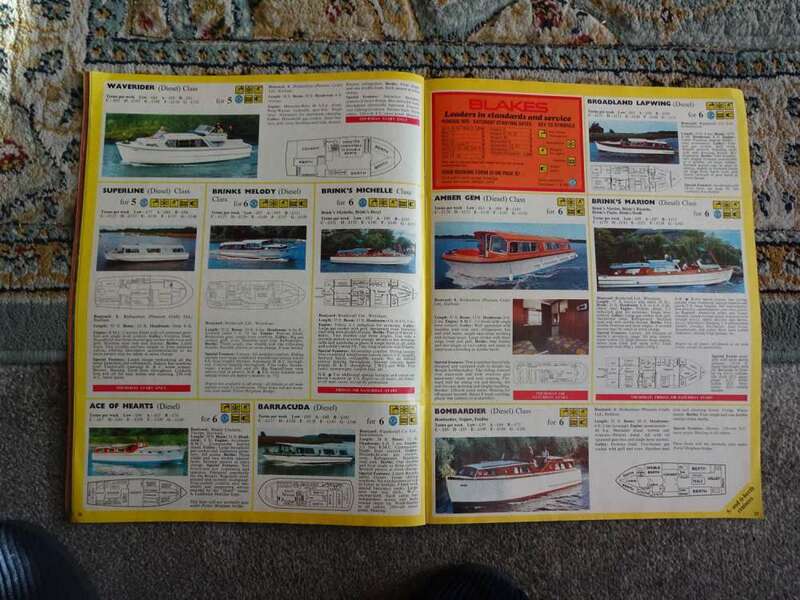 It`s strange when you think of the number of yards at Thorpe, Maidencraft, Highcraft, Kingfisher Cruisers, Corig Cruisers, Hearts Cruisers, and probably some i`ve forgotten, and these are from the 80s, i bet there were a lot more before that.